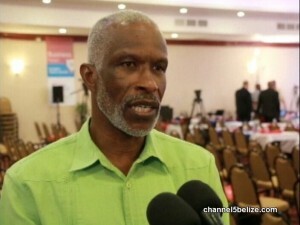 News Five has received reliable information that an investigation is currently ongoing by the police department into an allegation made by a coastguardsman against his commander, Rear Admiral John Borland. A statement has reportedly been taken by the police from the junior officer in which he claims he has been verbally abused as well as his job and life threatened by the commander. Now, News Five has been notified that Admiral Borland is out of the country and returns later this week. The junior officer, whose name is being withheld at this time, has since retained the services of an attorney since he is seeking court action against Commander Borland. But will the case end up before the Security Services Commission? Today, Home Affairs C.E.O., George Lovell confirmed to News Five that the matter is being investigated. In an interview the junior officer told News Five that the incident occurred on Thursday following a discussion with Commander Borland over a Facebook post.